Did you know that 7 in 10 airline passengers with disabilities have experienced physical obstacles or miscommunications with airlines? Or that 65% have experienced the same problem when travelling through airports? For people with disabilities, planning and organising travel can be a very complicated and stressful experience. In part, this is due to the fact that airports, public transport, accommodation and tourist attractions often lack truly accessible facilities. This problem extends to destinations across the world. Just take a look at New York City. Despite being a global powerhouse and massive tourist destination, its subway system is incredibly difficult to navigate for wheelchair users and people with mobility impairments. Just 1 in 4 stations (23%) are fully accessible, and to make matters worse, there’s an average of 25 elevator outages every single day across the network, lowering the number even further. Beyond mobility impairments, there are a huge number of people with hidden disabilities such as autism, hearing and vision impairments, and mental health conditions. In fact, 4 out of 5 disabled travelers do not need assistance when moving around, but may well require other facilities such as Braille on signs, or hearing induction loops. If you’re travelling with a disability, it’s understandable to feel concerned about logistics. How can you be sure you’ll get the assistance you need at an airport? Or that a hotel will have sufficient accessible facilities? It’s clear that something has to change! 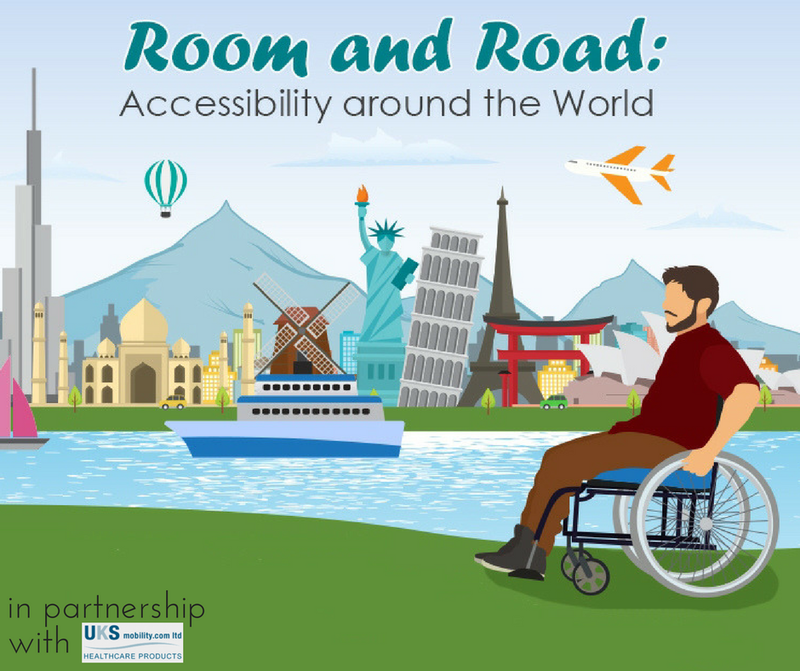 With this in mind, the team at UKS Mobility have put together a brilliant article and inforgraphic, detailing key statistics around disability travel and accessibility. This infographic, whichyou can view below, also analyses three major cities – London, Barcelona and New York – to see how well they cater to the needs of people with disabilities. We hope this will help you to plan your next adventure! Plus, if you’re travelling through Heathrow Airport and are concerned about accessibility, make sure you take a look at our Special Assistance guide, which tells you everything you need to know about the accessible facilities available.